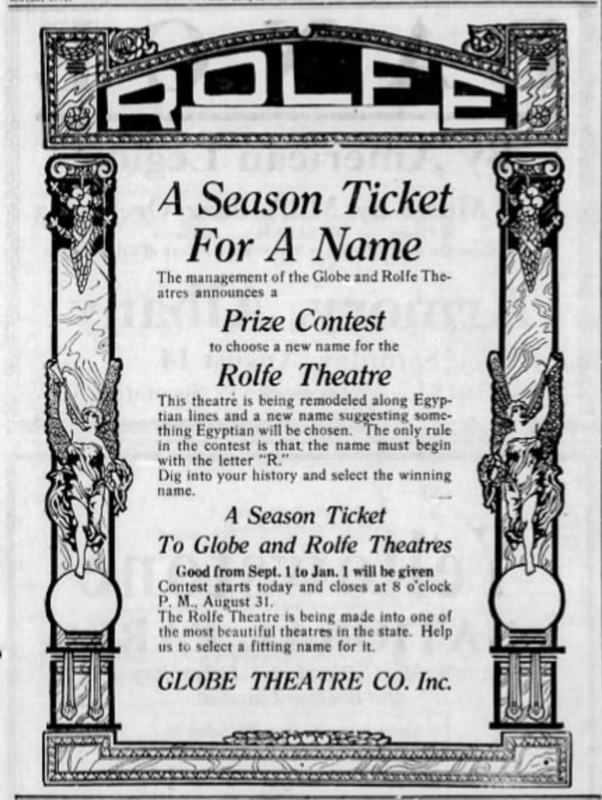 A competition to change the name of the theater from the Rolfe Theatre post-1920. 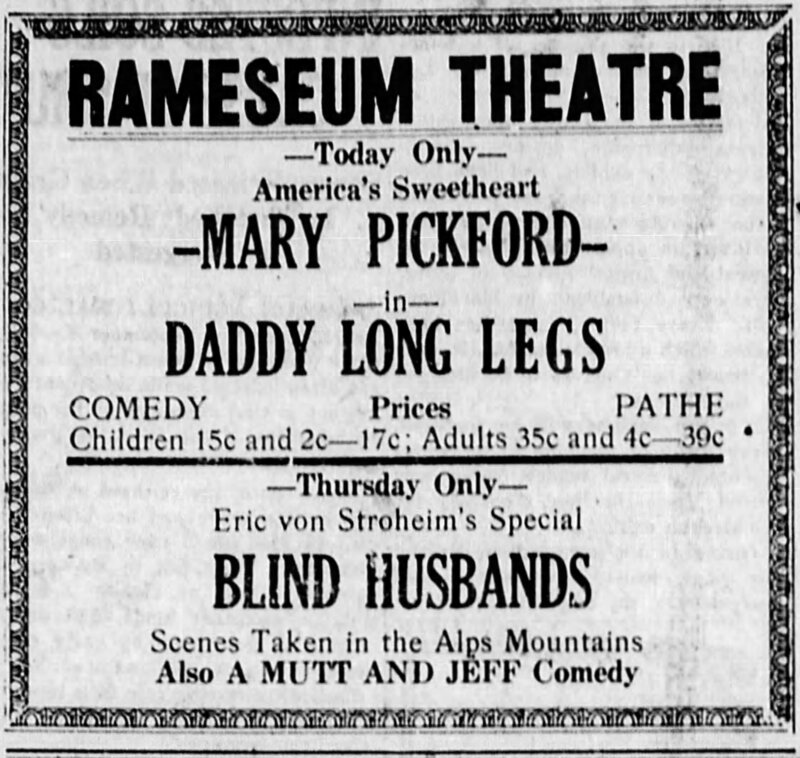 The Rameseum Theatre featured very popular “moving pictures” including pictures featuring starts like Mary Pickford. 1929: Adult tickets are $.50 ($7.24 in 2018) and kids are $.25 ($3.62 in 2018). The Rameseum Theatre shows a multitude of genres from Western, to slapstick, to romance. Albany Democrat-Herald Paper (Oct. 21, 1929).